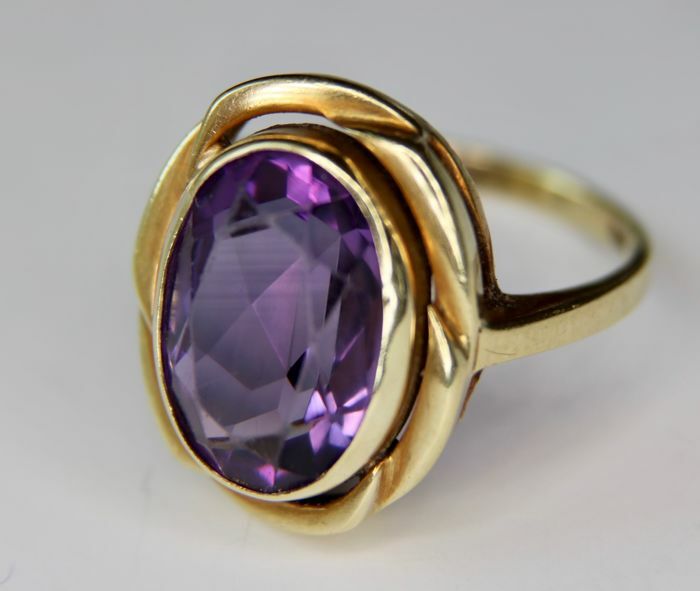 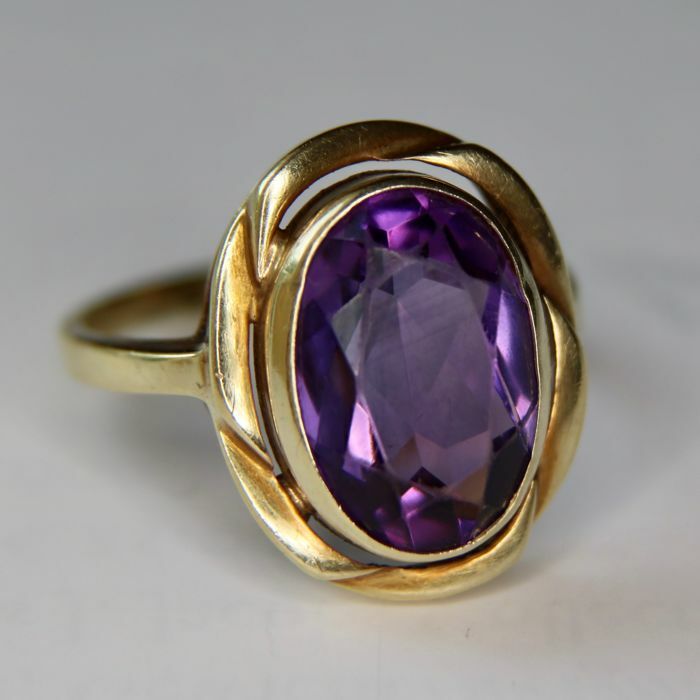 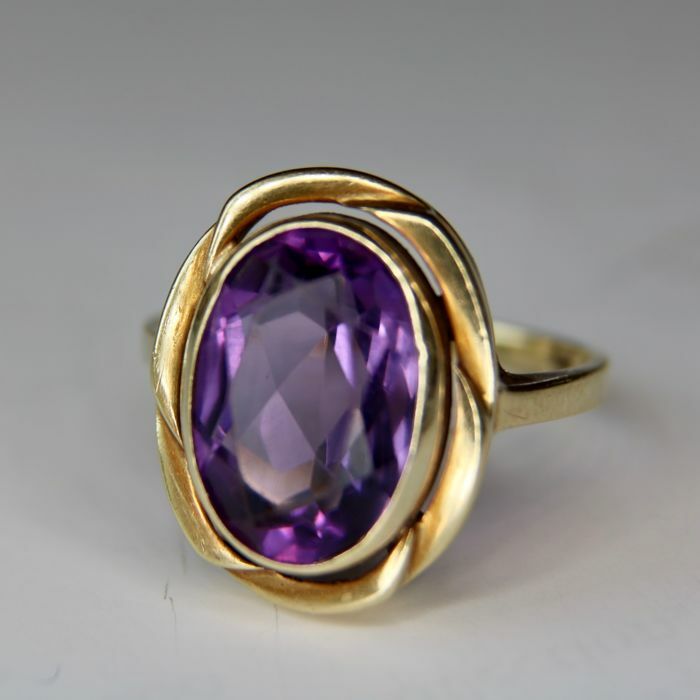 Handcrafted 585/14kt Gold ring with an oval faceted natural Amethyst of approx. 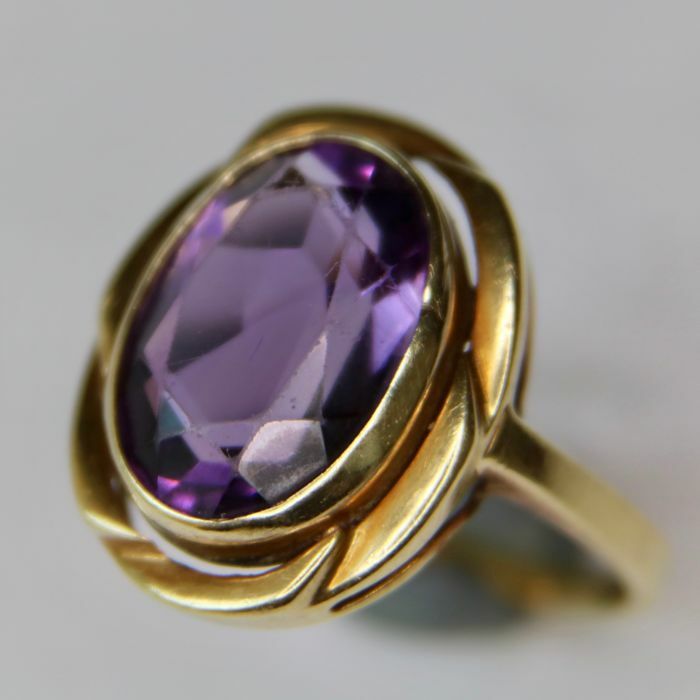 3.41Ct in prong setting. 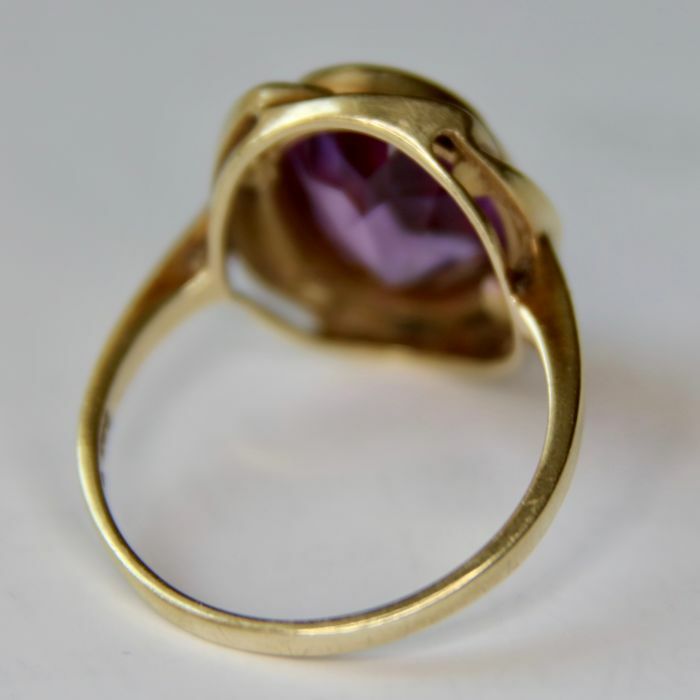 Ring size approx Ø18,5mm/58 EU//8.5 US (can be adjusted with a small surcharge). 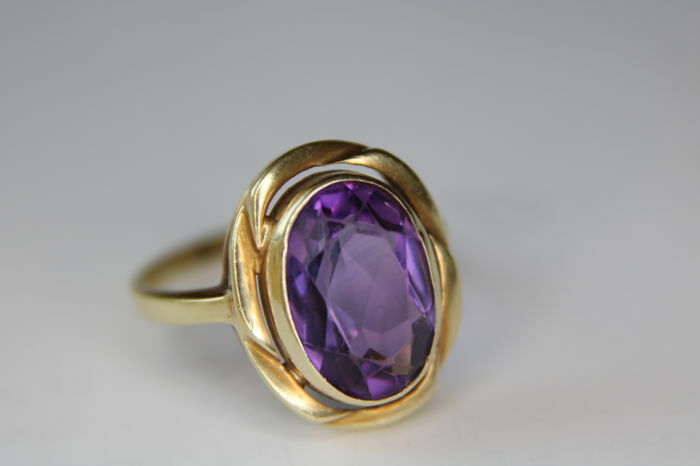 Sea the photo with sizes.